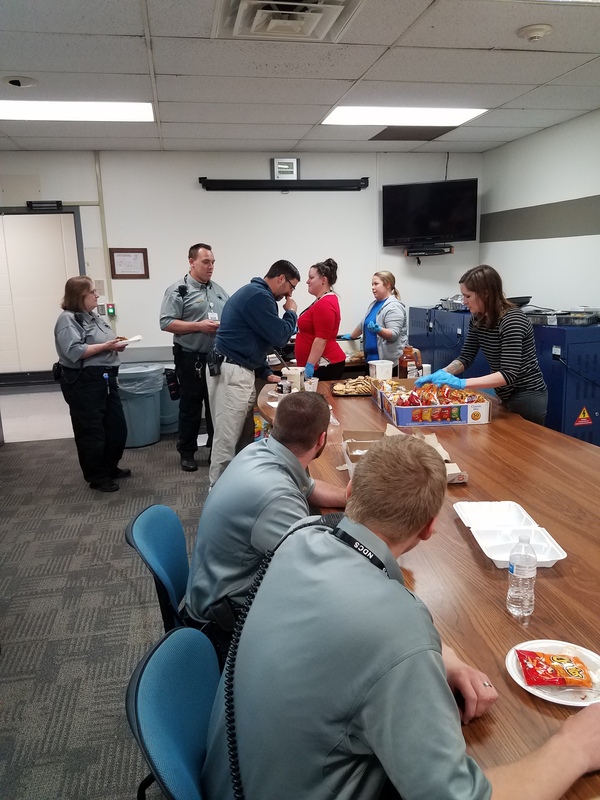 The Diagnostic and Evaluation Center (DEC) hosted an employee appreciation meal for the entire facility on May 25. Lieutenant Kinney smoked chicken and pork for sandwiches, which were served along with baked beans, coleslaw, cookies, chips and water. Team members also received popcorn, donuts and a small gift throughout the month of May. Thank you for all you do!